still encounter barriers to receiving accessible care at their preferred hospitals. suffering for years before receiving a proper diagnosis. 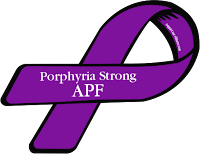 This educational material is provided by the American Porphyria Foundation. People with frequent attacks can also consider wearing a medical alert bracelet. the diagnosis and treatment of the acute porphyrias. Ann Intern Med. 2005;142:439-450.
consortium. The Amer. Jrnl of Med. 2014;127: 1233-1241.
be life-threatening and result in serious complications such as irreversible nerve damage. How can it benefit me or a caregiver? How will it affect my Doctor's appointments? All these tools come free of charge and can be downloaded any time. A downloadable Access to Care Toolkit is a resource designed to help patients living with Acute Intermittent Porphyria (AIP), Hereditary Coproporphyria (HCP), and Variegate Porphyria (VP) or their caregivers, loved ones and healthcare providers secure access to Panhematin at their preferred health facility. We have recently learned of patients who are being denied this treatment from some hospitals and directed to secure another healthcare provider. If this has happened to you or someone you know or care for, please use these tools to request help from your state and local representatives and health advocacy organizations. We understand the debilitating effects of acute porphyria and hope these resources will help you secure access to Panhematin when you need it most. *Healthcare Conversation Tracker is a simple form to record your conversations with doctors, insurance agents, etc. *Customizable letter templates to record your details to use for doctors, state departments, insurance, etc. 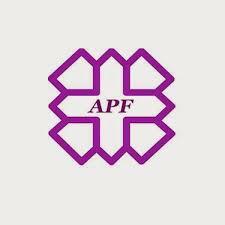 This Toolkit can be found on the APF website. Contact the APF office today if you have questions! conversations with insurance providers. This information can support your appeals for access to care and treatment and should be provided with your letter. Submit a copy of this document along with other documents to support your claims. Remember to be thorough and capture as many details as possible. I was devastated to learn that [insert name of hospital] will no longer honor my physician’s prescription and provide me with access to this treatment. Instead, I was told to find it through another hospital. As a patient living with a rare disease, it is important I continue to receive timely access to the most effective treatment available. During an attack, I experience excruciating pain and [insert specific symptoms], that make it extremely difficult to find another hospital, much less get myself there. Living with AIP is extremely challenging and recurrent, severe attacks have limited my ability to work and provide for myself and my family. It is extremely important that I have access to Panhematin at my preferred hospital. I worry that delays in treatment will result in a serious attack leading to hospitalization, and serious, potentially life-threatening complications. I appeal to you to help me in urging [name of hospital] to provide continued access to the treatment I desperately need. I appreciate your thoughtful consideration of my appeal and look forward to hearing from you soon. Imagine you, or a loved one, suffered from a potentially life-threatening rare disease only to have the hospital you know and trust deny access to the only treatment that helps. Unfortunately, this is not a hypothetical story. This is my reality. I am a resident of [insert city or town] and I provide care to a person living with Acute Intermittent Porphyria (AIP), a rare, often debilitating and painful disease, that can lead to hospitalization if untreated. He/she] has been receiving Panhematin, the only FDA approved hospital-based treatment for AIP for [insert number] years. We were recently devastated to learn that [name of hospital] will no longer provide access to Panhematin. In fact, the [insert title of person you spoke with] turned us away and told us to find another hospital for treatment. This is extremely troubling and disappointing, because it is critical that AIP patients have prompt, access to treatment. Delays can result in a severe, potentially life-threatening attack. Left untreated, an attack can result in serious complications such as irreversible nerve damage. I appreciate your thoughtful consideration and look forward to hearing from you soon. As the treating physician for a patient living with Acute Intermittent Porphyria (AIP), a rare disorder that often leads to extreme pain and debilitating symptoms, I was disappointed to learn that [name of hospital] will no longer provide [him/her] access to Panhematin, the only FDA-approved, hospital-based treatment for AIP attacks. This is extremely troubling and I appeal to [insert organization/person receiving letter] to help ensure [name of hospital] provides continued access to this critical treatment in the interest of my patient’s health, and in keeping with [his/her] rights as a patient. Patients with AIP require prompt, unrestricted access to Panhematin that is prescribed under the care of physicians experienced in the management of porphyria, at hospitals that offer the necessary clinical and laboratory diagnostic and monitoring techniques. Delays in treatment can result in severe, potentially life-threatening attacks. Left untreated, attacks can lead to hospitalization, irreversible nerve damage and possibly death. 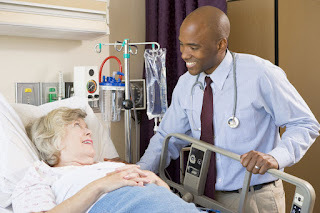 As healthcare providers to the community, [name of hospital] has an obligation to provide timely treatment to patients. Patients with AIP often experience excruciating pain, which greatly reduces their ability to manage changes in treatment schedules and locations. Turning my patient away from this facility is more than an inconvenience and could cause long-term health issues. I appreciate your thoughtful consideration of my appeal and look forward to your reply. 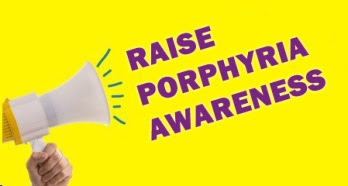 National Porphyria Awareness Week (NPAW) is right around the corner. See the story below as a great example of how to raise awareness in your community. 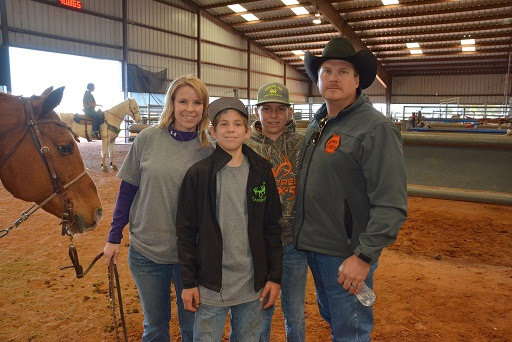 For the second year in a row, the Cook family put on a fantastic benefit barrel race. As you may know, the Cook brothers, Cason and Caul, have EPP and have set a great example about enhancing awareness of the disease in their local area. They have been hosting a Hat Day, supporting the APF and porphyria awareness, for many years in their hometown of Vernon, Texas. There were over 159 entries for the race and an incredible outpouring of support from the community with volunteers and sponsors. Watch for stories like this from individuals and families who have changed the world of Porphyria Awareness in the community. CAMBRIDGE, Mass.--(BUSINESS WIRE)-- Alnylam Pharmaceuticals, Inc. (Nasdaq:ALNY), the leading RNAi therapeutics company, announced today that the European Medicines Agency (EMA) has granted access to its Priority Medicines (PRIME) scheme for givosiran (ALN-AS1), an investigational RNAi therapeutic targeting aminolevulinic acid synthase 1 (ALAS1) for the treatment of acute hepatic porphyrias. The purpose of the PRIME initiative is to bring treatments to patients faster by enhancing the EMA's support for the development of medicines for diseases where there is an unmet medical need and where early clinical data show potential to benefit patients. Various statements in this release concerning Alnylam's future expectations, plans and prospects, including without limitation, Alnylam's views with respect to the potential for RNAi therapeutics, including givosiran, its expectations regarding the timing of clinical studies, including the initiation of a Phase 3 trial for givosiran following interactions with regulatory authorities, its expectations regarding scientific and regulatory support for givosiran from the EMA and collaborating with the EMA on the accelerated assessment of givosiran, its expectations regarding its STAr pipeline growth strategy, and its "Alnylam 2020" guidance for the advancement and commercialization of RNAi therapeutics, constitute forward-looking statements for the purposes of the safe harbor provisions under The Private Securities Litigation Reform Act of 1995. Actual results and future plans may differ materially from those indicated by these forward-looking statements as a result of various important risks, uncertainties and other factors, including, without limitation, Alnylam's ability to discover and develop novel drug candidates and delivery approaches, successfully demonstrate the efficacy and safety of its product candidates, the pre-clinical and clinical results for its product candidates, which may not be replicated or continue to occur in other subjects or in additional studies or otherwise support further development of product candidates for a specified indication or at all, actions or advice of regulatory agencies, which may affect the design, initiation, timing, continuation and/or progress of clinical trials or result in the need for additional pre-clinical and/or clinical testing, delays, interruptions or failures in the manufacture and supply of our product candidates, obtaining, maintaining and protecting intellectual property, Alnylam's ability to enforce its intellectual property rights against third parties and defend its patent portfolio against challenges from third parties, obtaining and maintaining regulatory approval, pricing and reimbursement for products, progress in establishing a commercial and ex-United States infrastructure, competition from others using technology similar to Alnylam's and others developing products for similar uses, Alnylam's ability to manage its growth and operating expenses, obtain additional funding to support its business activities, and establish and maintain strategic business alliances and new business initiatives, Alnylam's dependence on third parties for development, manufacture and distribution of products, the outcome of litigation, the risk of government investigations, and unexpected expenditures, as well as those risks more fully discussed in the "Risk Factors" filed with Alnylam's most recent Annual Report on Form 10-K filed with the Securities and Exchange Commission (SEC) and in other filings that Alnylam makes with the SEC. In addition, any forward-looking statements represent Alnylam's views only as of today and should not be relied upon as representing its views as of any subsequent date. Alnylam explicitly disclaims any obligation, except to the extent required by law, to update any forward-looking statements.